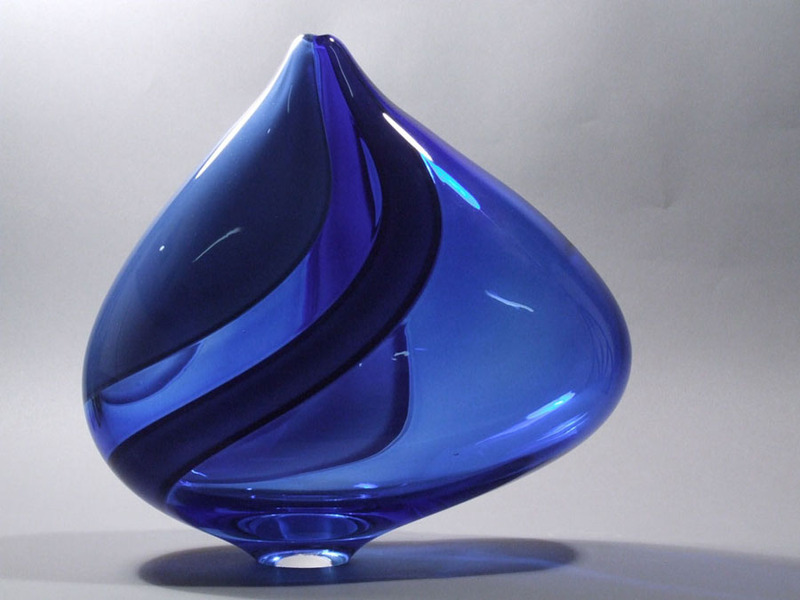 Louisville’s Brook Forrest White, Jr. has a childlike fascination with glassblowing. 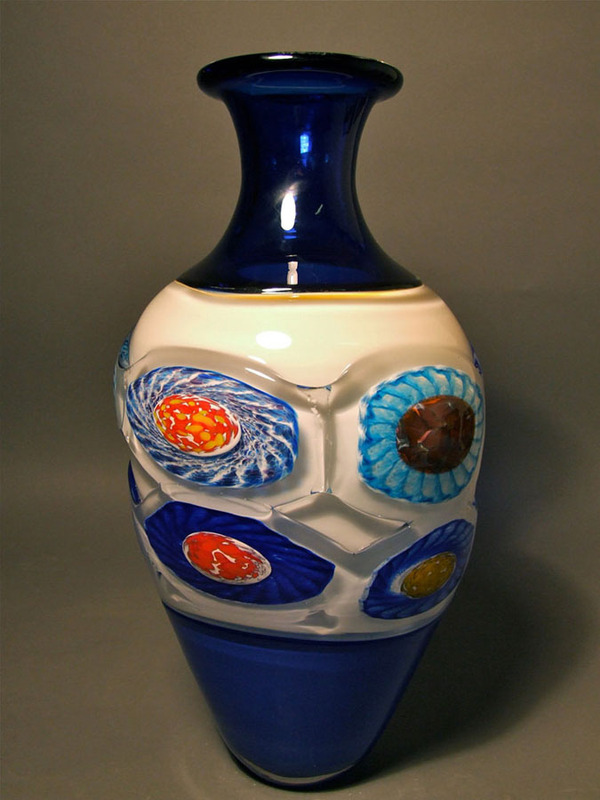 A graduate of Centre College where he discovered his passion for hot glass under the tutelage of Stephen Rolfe Powell, Brook transformed his wonder of the medium into a successful vocation. 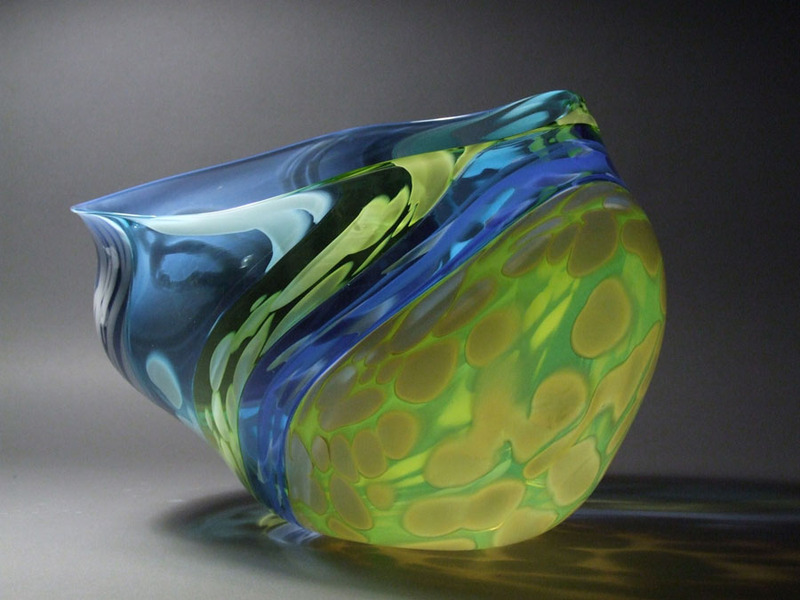 Today he owns Flame Run, the region’s largest glassblowing studio and Kentucky’s only exclusive glass gallery. The shapes are primarily a result of my physical exertion, but are also part of my mental process. 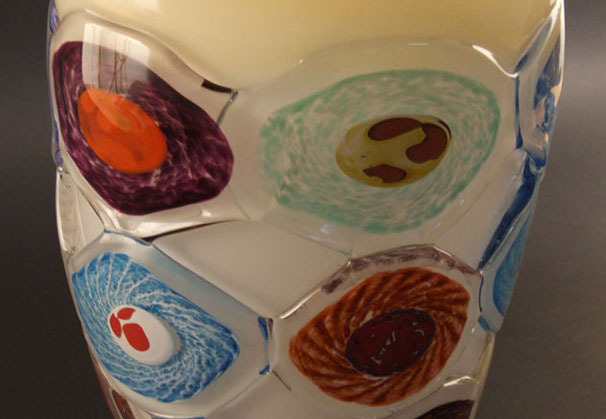 The colors and surface designs are interpretations of my moods and inner thoughts. Each piece represents a part of me which is not clearly visible, but which is nonetheless essential to my personality. Born in 1969 in Owensboro, Kentucky, White devoted himself to sports and music in his teen years, not art. He became an accomplished soccer player and rock and roll drummer. 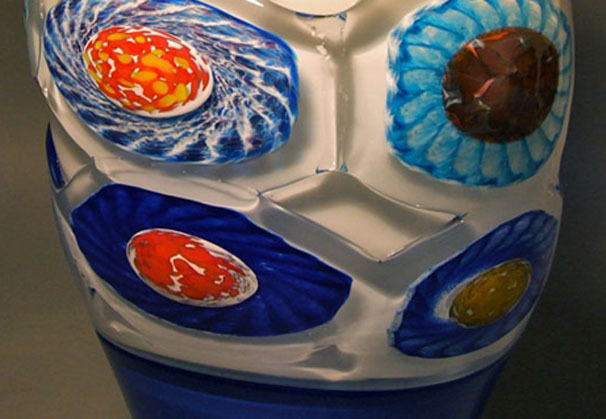 In college, while playing soccer and pursuing a degree in government, White stumbled upon glass art. 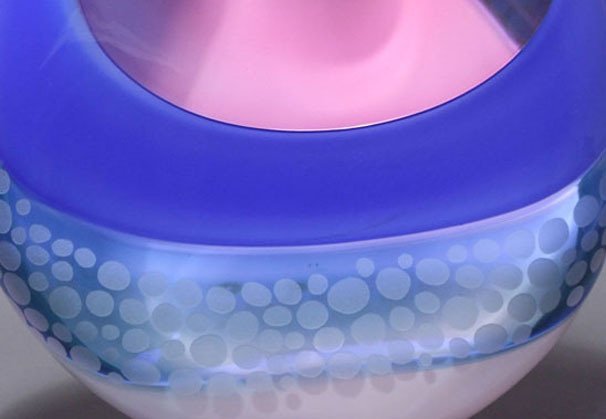 Under the tutelage of internationally renowned glass artist Stephen Rolfe Powell, White discovered a new kind of athleticism and creativity in the hot glass process. 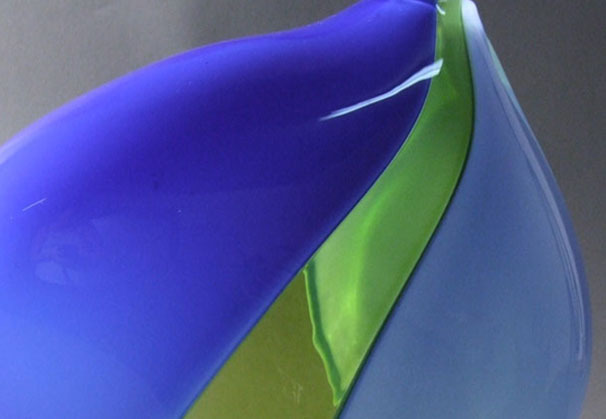 His interest in glass intensified even as his acceptance to law school arrived. While contemplating his future, he spent a year traveling in Europe and the U. S. visiting art galleries, museums, and glass studios. 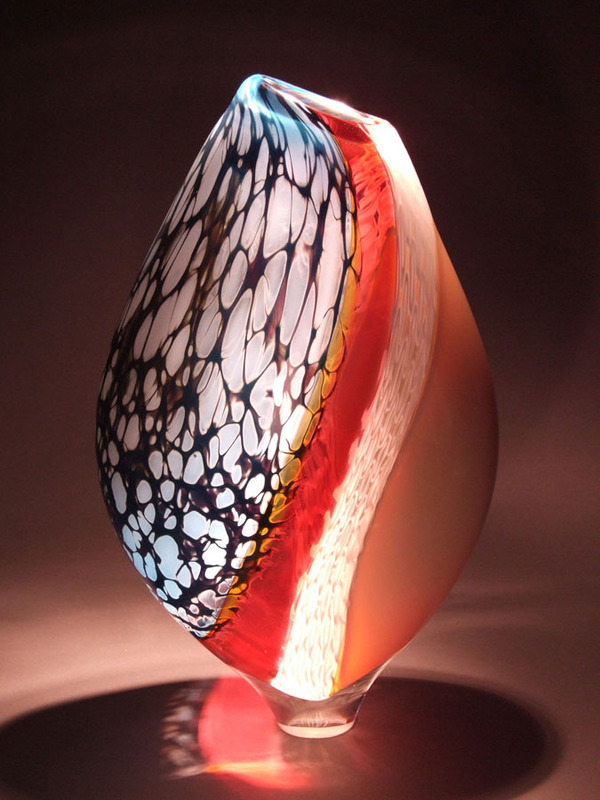 A term of law school failed to conquer White’s love of hot glass. 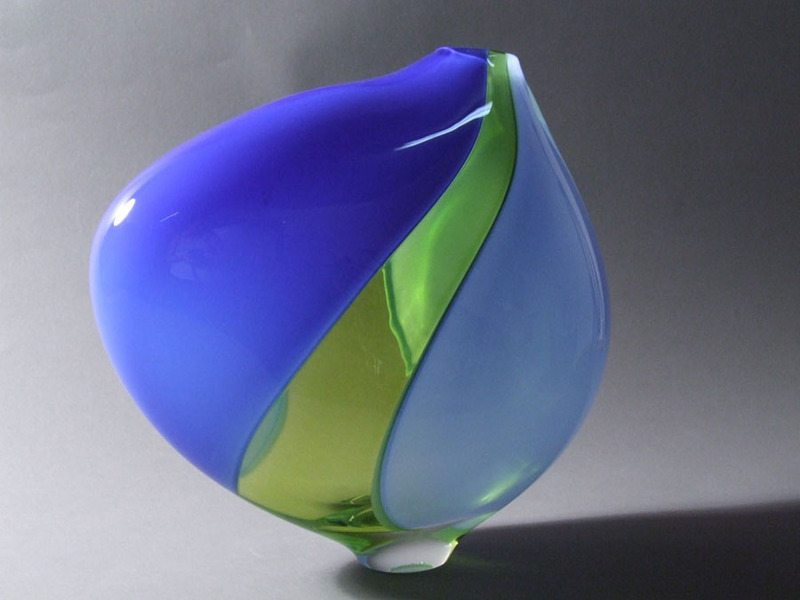 Returning to Danville, Kentucky, in 1995, he started up his own studio, Glassbrook, LLC. 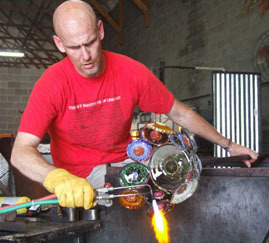 In 2000, he moved to Louisville to open the hotshop at Louisville Glassworks. 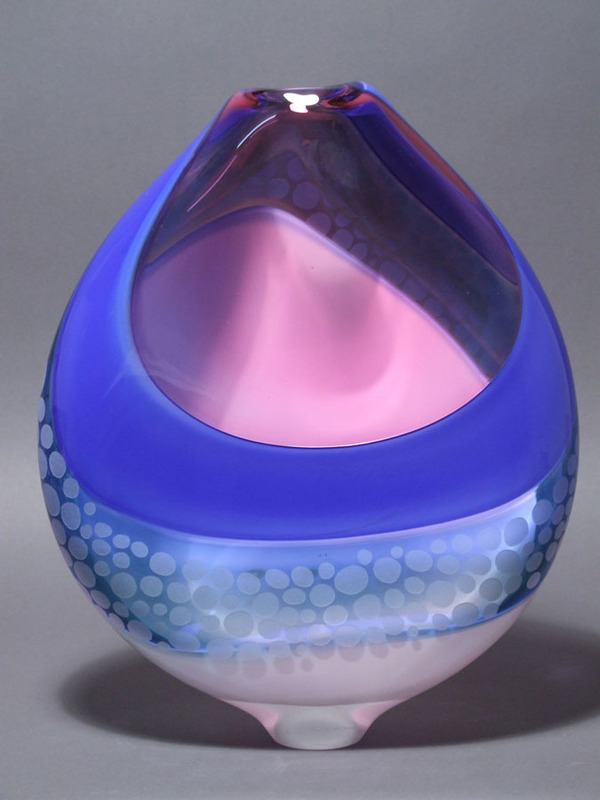 In 2004, he opened Flame Run glass studio and gallery and has continued making and exhibiting work all over the country. 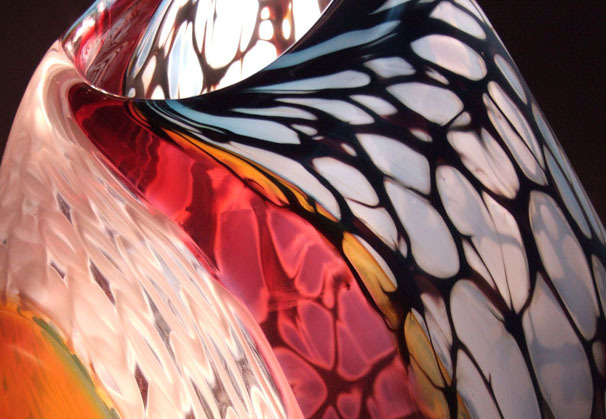 Flame Run has helped place Louisville on the map as an art glass destination. 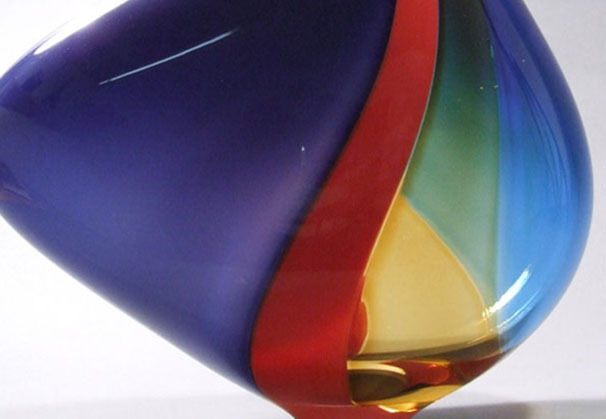 Brook has maintained an operating hot shop since 1996, and his commitment to glass has helped fuel the creation and expansion of a growing art glass community in Kentucky. 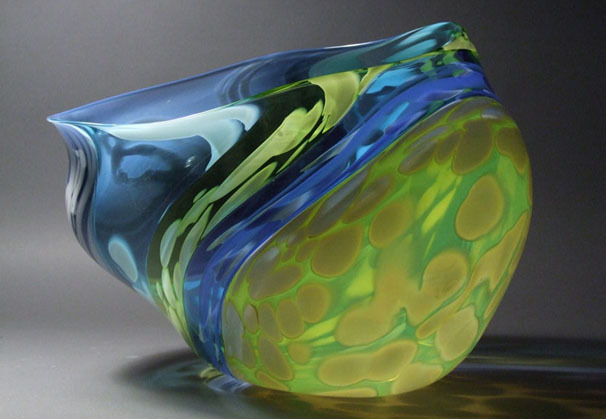 In 2010, Brook was a co-chair in hosting the 40th Anniversary Glass Art Society’s annual conference in Louisville. Brook juggles his glass career with raising 5-year-old boy and girl twins, Chrisler and Aubrey. 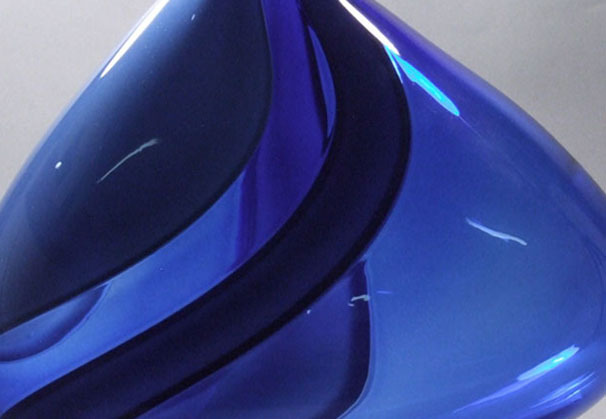 His children have provided him with new insight and passion for the creative process. 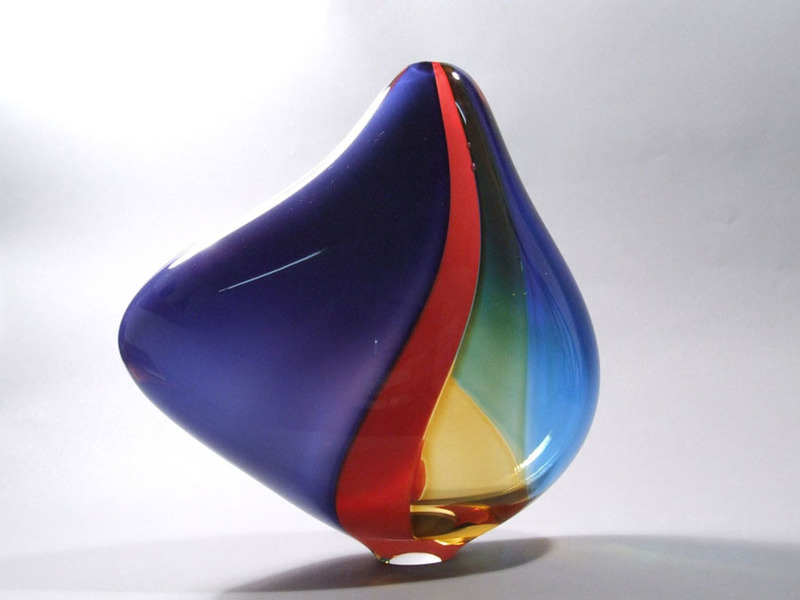 Both kids enjoy being around the glassblowing studio. 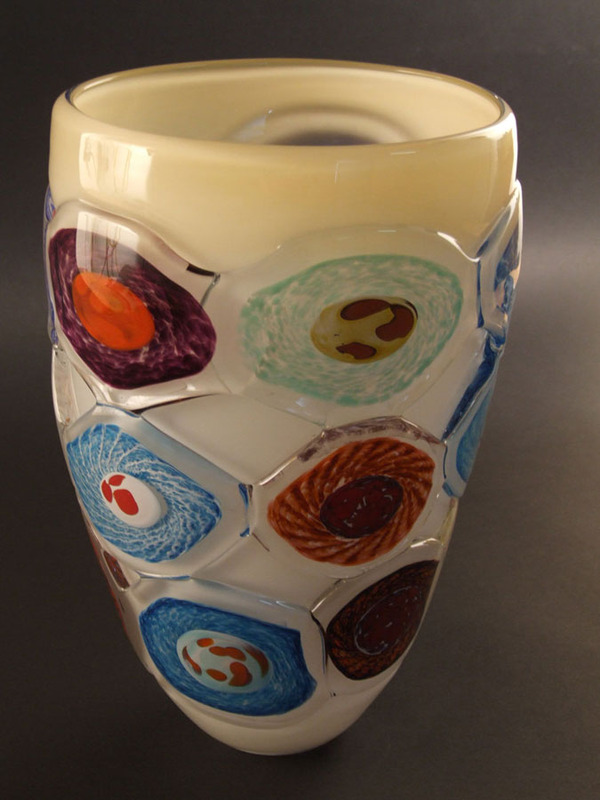 They are a constant source of joy and inspiration for him in his glass pursuits. Click here for the artists' resume.